Services - Mobile Computing Corp. Inc. The successful selection, creation, deployment and support of a real-time mobile workforce automation solution require the delicate balance of people, process and technology. 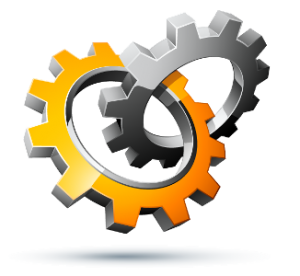 At MCC we understand that the software and hardware elements are only a few elements of the entire solution. For this reason, MCC has developed expertise in a full range of professional services which will not only assist but guide your organization from project initiation through to day to day support once the project has been rolled out. Our theory is to provide a partnership which evolves with the needs of personnel and technology over time. The successful deployment of a mobile workforce automation solution requires the delicate balance of people, process, and technology. At MCC, we know that technology implementation is only half the equation. To move forward with a mobile solution, organizations must consider its impact on workers, customers, and internal management staff. MCC helps you reap the benefits of automation rapidly and manage through the organizational change that often accompanies the deployment of a mobile solution. Our goal is to deliver value to your organization. Through our many years of experience, we have developed flexibility in providing support which drives us to deliver programs designed for each individual customer. One size does not fit all when dealing with Support programs. We do not believe in a tiered approach; bronze, silver, gold etc…,. We strongly believe that all customer will receive the best service available geared to individual requirements. A custom designed program which may, over-time, evolve and require modification as our customers become more mature in the handling and management of the solution. Our North American-based call centre is available to support your solution needs 24*7. This includes Software, Hardware, Hosting, Training and Reporting. As a full solution provider, through our network of business partners, MCC will design, develop, integrate, support and maintain all the components required to integrate your back-office systems with your mobile work force and provide a seamless on-demand bi-directional data and information flow. MCC’s approach is to jointly work with your team and combine our strengths as system integrators with your deep knowledge of your own business. Our project managers, system and business analysts with extensive enterprise system integration expertise, will provide your company with additional resources to identify, validate and address all your company’s needs and improve efficiency. First we listen and observe and whether it involves field trips with your mobile work force, interviewing office employees, reviewing and analyzing back-office processes and procedures our extensive expertise will allow us to conduct a full business analysis or complement and validate your existing findings and needs. Based on our extensive integration experience we understand the impact such projects have on your organization. We will design the new solution, encompassing both technology and process changes, and integrate with your existing infrastructure with minimum impact on your organization. Our phased integration methodology and deployment approach will give your organization the time to adjust while maintaining all its operational capabilities and start seeing returns and improvements as early as possible. Our flexible and configurable interfaces allow us to minimize the impact on your back-office systems for a quick integration and will keep the changes required and workload on your IT department at the minimum. Our flexible and powerful business logic engines allow us to implement and electronically reproduce any paper-based forms your mobile workers are currently using and streamline their workflow minimizing the impact and drastically reducing training and adoption times. With over 20 years of wireless solutions, custom software development, third party software and hardware integration experience across a wide range of industries MCC is one of the top providers of mobile work force automation and integration. Long after the initial deployment MCC will continue to look for ways our systems can improve your company’s operations and bottom line fostering a mutually beneficial long lasting business relationship. Training is an essential element of a successful deployment. At MCC, our goal is to meet all your training needs, so that your mobile automation solution reaps immediate and measurable value. MCC Managed Services is designed for companies that prefer to rely on their solutions partner to fully manage their mission-critical technology deployments, in order to better concentrate on their core business. This approach allows them to focus on their strategic direction, while at the same time strengthening their overall competitiveness and bottom line through the increased management efficiency and effectiveness, lower costs, access to skilled resources, innovation, and higher service levels provided by their technology solutions. Depending on individual business requirements, MCC will lead strategic partners in the deployment of additional hardware and airtime. With over 20 years experience developing technology solutions, MCC understands that every business has its unique challenges that require a tailor-made response. So we’ve developed the expertise, skills, and resources to handle each and every aspect of workforce automation, including development engineering and testing. Comprehensive component level testing evaluations, including shock, vibration, humidity, endurance, and more. MCC’s approach is to jointly work with your team and combine our strengths as system integrators with your deep knowledge of the business. Our project managers, system and business analysts with deep industry system integration expertise will provide your company with additional resources to identify, validate and address all your company needs and improve efficiency. Based on our extensive integration experience in the industry we understand the impact such projects have on organizations. We will design and integrate the new solution with minimum impact on your organization. Our phased integration methodology and deployment approach will give your organization the time to adjust while maintaining all its operational capabilities. As a full solution provider MCC will provide and implement all the components required to provide real-time connectivity and link your back-office systems with your mobile work force. Mobility is all about expanding your business capabilities and access to data in real-time, beyond the four walls and ensuring your field operations are provided with the right tools, services and sustainable programs to keep you focused on your core value offerings. Our specialized programs allow us to scale outwards from simplified device procurement, asset identification and kitting to complex configurations requiring special account setup, customization and multiple peripheral solutions. Our mobile device management services, coupled with our enterprise toolset, allow us to manage smart phones, super phones, tablets, laptops and rugged devices. The ability to administer, lockdown and enforce corporate policies regardless of corporate or employee owned devices. Supported features include implementation, user set-up, device lock/load/unlock, troubleshooting, reporting and software maintenance updates. Which device is right for your operations? Based on your business requirements today and provisioned for growth, MCC can provide you with recommendations of best in class devices that will provide you with maximum reliability, functionality and overall customer experience. Whether you are looking to extend the useful life of your investment, provide better user ergonomics, reduce repair/damage cycles or support your corporate brand awareness, accessories are just as important as the device itself. If standard products are not available, we can work with our existing custom designers to create a product that is as unique as your business. Centralize how devices are returned and warranty programs are administered. MCC can facilitate the logistics and repair services and extended warranty programs either in-house or through our partner network. Proper activations, device provisioning and configuration increase the productivity and efficiencies of your mobile workforce. Proactive management and ongoing review of costs associated with device usage help drive down the administration and telecommunications expense. MCC is a leading full service provider of real time field force mobility and optimization solutions. M-LINXTM is proven to dramatically enhance customer service and retention while reducing operating costs. * By signing up, you agree to receive Mobile Computing Corp. Inc. (MCC) emails containing free content, monthly newsletters, product updates, research studies, gift cards and industry specific new articles regarding MCC. You can withdraw your consent at any time. © 2017 Mobile Computing Corp. Inc.